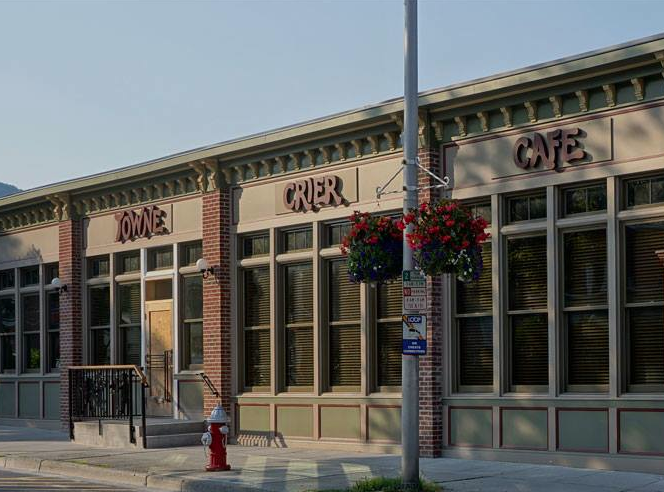 The new Towne Crier Cafe in Beacon. While the grand re-opening of the Towne Crier Cafe in Beacon doesn't happen until next weekend—The Slambovians on Friday, October 4 (already sold out!) and Battlefield Band on Saturday, October 5—the cafe is using this week for a soft opening to get the kinks out with some free shows. Tonight, TriBeCaStan, one of contemporary music's most musically diverse bands, goes on at 7:30pm. See the rest of the event sked ref="">here. The kitchen is open seven nights a week, featuring dishes made from farm-fresh, locally sourced ingredients by new executive chef, James Kane. Some examples: arugula and watermelon salad; rigatoni with broccoli rabe and sausage; Middle Eastern salad with tomatoes, cuccumber, red onion, pine nuts, and parsley. And don't forget Mary Ciganer's legendary desserts.